I must be a sucker when it comes to this cake that each time I see someone bake this cake .. I will hv the urge to bake it again.. not only to bake it.. but to keep it to myself and not share it with others muahahaha..
- Preheat the oven to 170C. Grease and line a 22-cm clip-sided round cake with non-stick baking paper. - Using an electric whisk, cream the butter and sugar together for 4-5 minutes until very pale. Beat in the eggs, one at a time, beating very well between each one, if necessary adding a spoonful of flour with the last egg to prevent the mixture from curdling. Beat in the orange zest. Add the flour all at once and mix in well, then slowly mix in the orange juice. - Spoon the mixture into the prepared tin and bake on the middle shelf of the oven for 45-50 minutes or until a skewer, inserted into the centre of the cake, comes out clean. If it starts to brown too quickly, cover loosely with a sheet of lightly buttered foil. - Leave the cake, in its tin, to cool on a wire rack, then carefully remove the sides and base of the tin and peel off the paper. Put it onto a serving plate. - For the icing, sift the icing sugar into a bowl and stir in the orange juice until you have a spreadable consistency. Spread it over the top of the cake, letting it drip down the sides, and leave to set. Serve cut into slices, and store any leftovers in an airtight container. Let me know ok if u like it cos i lurveeeeee it!! Wow, that looks amazing! I always have trouble using any bundt tin. Do you grease the tin first? How do you get it out so perfectly? Mine seems to get stuck all the time, even when I grease it. 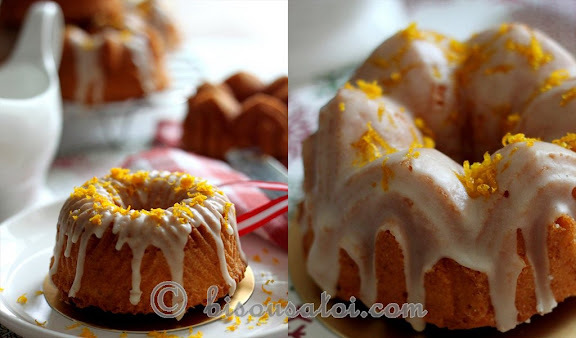 I have a very gd orange cake recipe too but this one looks good too, I saw it at Ellie''s blog and still in my to bake list :). 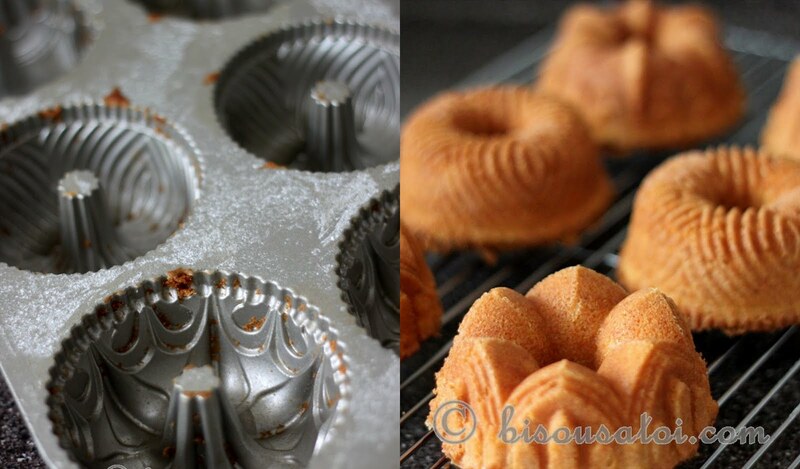 Nordicware tu yg kat Adelphi izit? ada a bit ex kan..
niways..ai rasa nak terjangkit nih cake jugak ..been quite sometime I baked this cake yg telah menjadi idaman kalbu mummy ai..hehe..
ahhh...ni lagi satu yang i aim nak buat but then tk terbuat buat lg..kena jugak buat over the weekend...tak tahan dah ni..eh, the muffin/cake tray tu cantik bangat! adusss kek cantik, tray pun cantik...laaagi rambang mata ahaks! emmm...keep to yourself eh?? ?anyway thanks for buying the calculator for your god daughter,marissa.didn't know until mum told me.. Yes when it comes to bundt pan i hv to make sure i grease every nook and cranny of my bundt pan no matter how expensive the bundt pan is..i also hv to dust it with flour or cocoa powder if i'm baking chocolate cake.. Oh?? maybe someday i can try out ur recipe too.. I dont even know how many times i've baked this orange cake.. i simply love the taste and texture of this cake..
Ah ah lah.. i bought it kat chong trading aldephi.. i found out later that kat shermay also jual.. slightly murah sikit but kan now that i dah kena tipa tertipu beli silpat mat kat sana macam haizzz..
Alamak macam mana mami boleh bilang pulak! slrrpppppp!!!!!!!!!!! 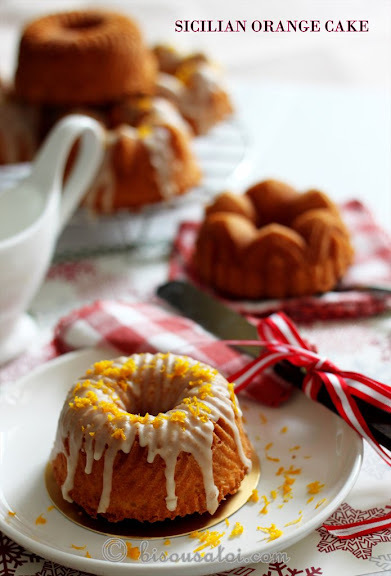 am drooling for your bundt-pan!!! tlg belikan bleh? :p susah nk jmpa kat kl ni. huhuhu..
btw, i made the cake for my boss and she requested for the recipe! hehe..
As usual, I dah amik reipinya (tapi I amik dari blog 'Arah' kot. I think same recipe). I nak juga buat kek tu since semua orang terkesima sama... The thing is, I need to cari biji oren to semai dulu, heheh. Salam kak rima!! salam kenal! :D sori ya, dah lama jd silent reader akak :D suke tgk ank akak yg cute tu akak pun cute jugak ;-)suke tgk kek2 akak sume nak2 kek lapis akak mmg mabeles ;-)kita add link akak kat mine k :D arigatouuuuu!!! Good to hv u onboard Ija.. nanti i go and knock on ur door wokey..
nak tahu jugak kalau kita bake in cup or put in the bundt..time and temperature utk baking still sama ke? Ty for leaving footprints Linda.. Of cos tak sama ah.. temp nye sama aje.. If I bake it as cupcake it only takes me 20mins and in bundt pan it took me 45mins.. every oven perangai nye berbeda so u check ur cake first eh bef u take it out of ur oven..
Wpun tak tinggalkan thumbprint, I tetap datang main2 air kat dlm swimming pool tu, ehekk.. (sama gak kat rumah cik Yat kita tu. Skrng kita baca dari hp aje, tu yg sukar nak tinggalkan t'print). Just want to ask you, where did you can that bundt pan from and how much is it? 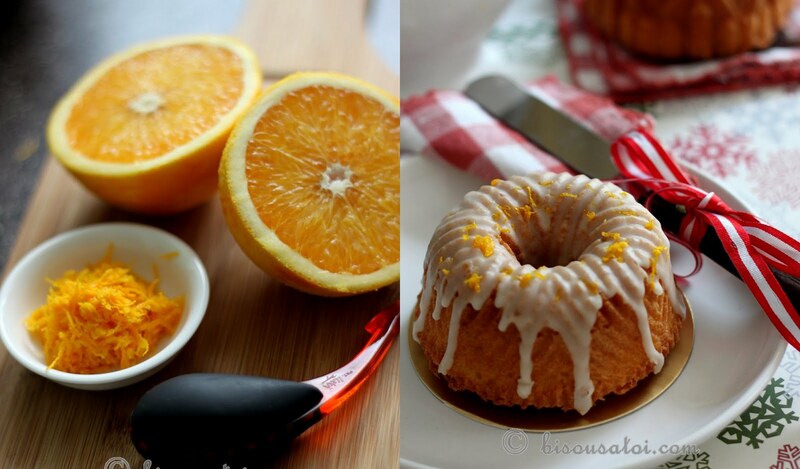 Do u by any chance know where i can get bundt pans from in KL? Btw..was jus wondering if the pan you have is the same one as this on nordic ware's website? My bad..pasted the wrong link. should be this one instead..
seems like purchasing online would be cheaper? btw, can all the batter of the above recipe fit into 6 of the bundt moulds? Oh ye ke?? lain kali i nak cuba buat si oreo lah.. apa rasa agaknye eh.. sure buttery oreo hahaha.. ape aje! Yes if u can wait.. sure why not.. sometimes they hv it on sale too.. I get 6 mini bundt and 4 cupcakes out of this ingredients. Its me again. Sorry for being so long winded. Do you mind weighing how heavy the garland bundt pans are and also one normal 12 or 10 cup capacity bundt pan? Coz im trying to figure out how much the vpost cost would cost me. But i cant find out from anywhere how heavy those pans are. Really sorry for troubling you. Thanks so much. Really appreciate it. tryla.. tp oreo i suke as cupcks... buttercream tu pun u crush oreo jugak and gaulkan.. oreo tu crush sekali dengan cream dia sumer, utk cake and buttercream.. lagi syiok!! Hv tried this recipe n yes it turns out yummy..tks for the recipe ya! Sorry for my late reply.. i will try to remember to weigh it when i get back home fm bkk..
One fine day akan ku cuba bagaikan si sicilian orange cake ni.. tks for the tip! Long time no hear.. hope all is well.. glad it turned out good.. glad u like it.. hv fun baking! Hi Rima,I'm the happiest woman today...well not because I baked the cake (kek akan jd kenyataan hujung minggu ni) but I found the pan. Although it's not nordic ware but physically it looks like one. For those who are crazily searching for one *cough*like me*cough* I found it in the Menu Kitchenware in SACC mall in Shah Alam.it was my first time to the store and it's not going to be the last hehehe....the normal price for 12 holes (common design for all) is RM28.90, but after 30% disc it costs me RM20.23. I've never tried it out so i can't comment on the outcome,but the design certainly comes close to the nordic. Stay tune.....hehehhee. Happy for u Maizatul.. murah bangat .. remember to grease it well ok.. also once dah ready let me know boleh i tengok how ur bundt pan look like.. hmmm do u hv a blog?? Made this cake last Friday. Though mine doesn't look lovely as yours, infact, cam langit dengan bumi bezanya, taste wise, it's lovely. Allow me to re-post the recipe in my blog ya. Thank you for sharing. Salam kenal cik mat gebu.. I do not know whether u still remember me or not...hehe..the last time I tried ur brownie recipe. For this time would like to try ur SOC...just to get permission from u dear...meanwhile just to let u know I'm still ur silent reader...admire ur baking very much....hehe akak ni pemalu...meow2 kucing aahh.Thanks erk rima for sharing the recipe. Of cos i remember u right after i went to ur blog hehe.. how hv u been? AGAIN N AGAIN i hv given HER credits!!! Geeeshh u cant even leave down ur name!! !